An Unseen Angel: A Mother’s Story of Faith, Hope, and Healing After Sandy Hook is the first book about the Sandy Hook school shooting tragedy with a focus on faith and spirituality. It takes readers through Alissa’s complete journey, chronicling the moment-by-moment account of the day that began with every parent’s worst nightmare: hearing “There’s been a shooting at your child’s school.” And it follows her faith-filled, spiritual path to coping, healing, forgiving and eventually feeling gratitude for the life and love of her daughter Emilie. As we learn Alissa’s story, we are introduced to a special little girl who was wise beyond her years and whose lessons about life and the transcendent power of love continued even after she had passed away. From the deepest pain a mother can imagine, comes a beautiful book whose message of redemption touches all of us. An Unseen Angel is a beautiful message of peace. My heart and mind have been drawn back to this powerful story many times and will continue for years to come. An Unseen Angel introduces us to a precious 6-year-old girl who teaches everyone to see the angels in all our lives. The tremendous strength and grace Alissa displays in this book should serve as an inspiration to all. An Unseen Angel follows Alissa’s faith-filled, spiritual path to coping, healing, forgiving and eventually feeling gratitude for the life and love of her daughter Emilie. Violence, grief and loss are not what this book is primarily about; at least, I prefer not to look at it that way. Although it contains tragedy, my story is ultimately not tragic. The story I feel compelled to share is one of help and healing. It is a story of how God’s love and protection surrounded me during my darkest hour. I have always believed that family is eternal, that we are bound with our loved ones by a tie that outlasts disaster and death. But when Emilie died, my faith in this principle was put to the ultimate test. I asked God again and again to help me feel Emilie’s presence, to confirm that she still was with me and that our family was and is forever connected. As I have pondered my experiences in writing this book, I have come to realize how truly blessed I have been. I can clearly see that God was indeed faithful to his promises to me the day Emilie died. His help has radically changed my life. I have finally come to the understanding that Emilie’s story is one of joy. Emilie had six wonderful years on this earth. She made every day beautiful. She saw the world in color and spent every moment she could trying to capture that beauty in her artwork to share with others. Through all the pain, I have come to feel this truth with every fiber in me: Emilie’s was a beautiful life. I feel honored to have been a part of it. From the deepest pain a mother can imagine, comes a beautiful book whose message of redemption touches all of us. Reading her words, my breath caught in my throat, and yet, her story reminds us that sun follows night, love and faith are powerful balms, and we can choose whether we live in the darkness or light. Alissa Parker’s healing story is a testament to the best parts of human nature and the power of resilience. Alissa Parker is the mother of Emilie Parker, who was killed at Sandy Hook Elementary School, and is a national advocate and lecturer for school safety through her organization, Safe and Sound Schools. 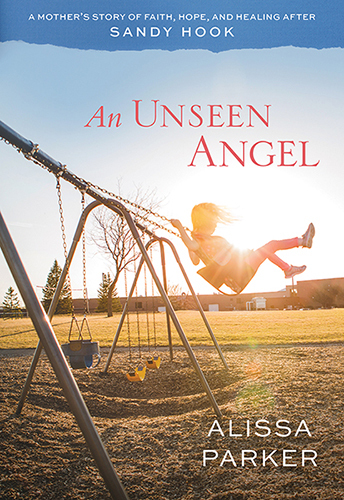 An Unseen Angel: A Mother’s Story of Faith, Hope, and Healing After Sandy Hook is available for purchase here. 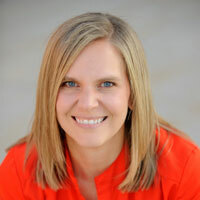 To schedule an interview or a speaking opportunity with Alissa, you can contact her here. Please use the form below to contact Alissa about any general questions. If you would like Alissa to speak at an event, please email info@theparkerfive.com. For media inquiries, please contact Alexa Battista at alexa.battista@havas.com. Alissa and her family are cofounders of the Emilie Parker Art Connection, a charity that helps local community arts programs for children, and Safe and Sound Schools, a touring national advocacy group that helps people take action to make schools safe. A portion of the proceeds from An Unseen Angel will be directed to the Emilie Parker Art Connection.